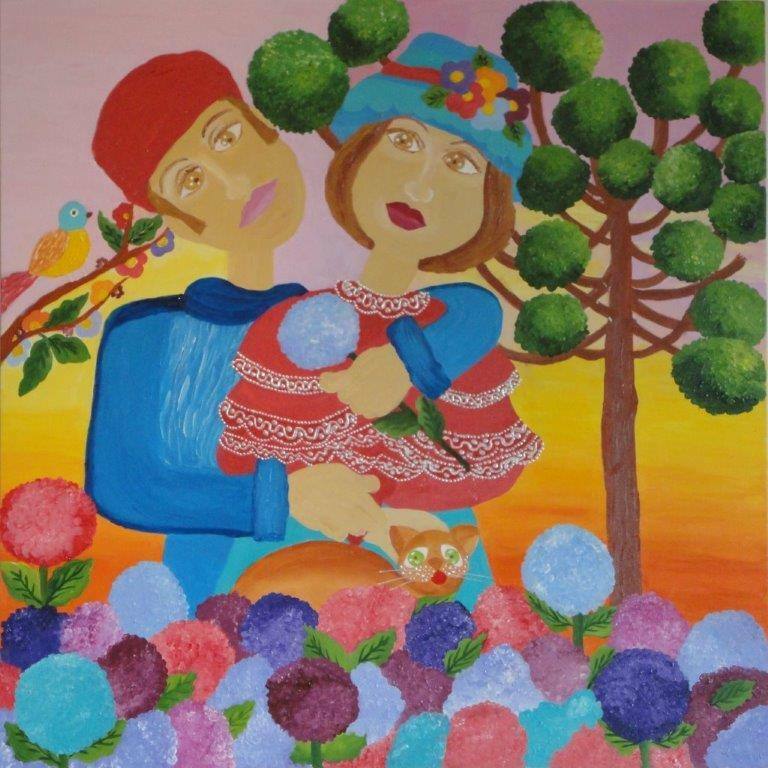 Home / Art / The artist and the curator Inês Paco de Assis, invite to the artist's solo exhibition: "The Poetry of colors"
Invitation Exhibition "The Poetry of colors" Agnes Victoria. Photo: Disclosure. 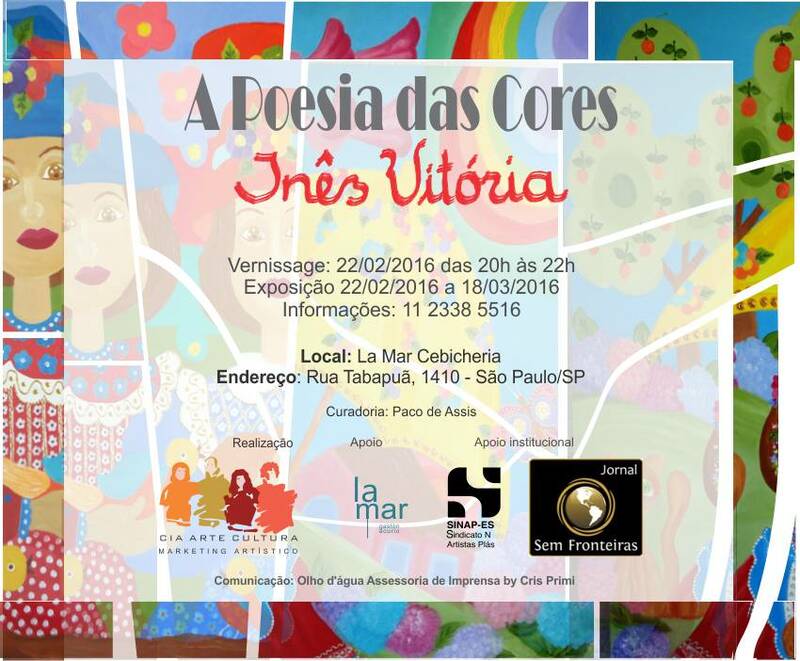 The artist and the curator Inês Paco de Assis, invite to the artist's solo exhibition: "The Poetry of colors"
Artwork of Ines Victory. Photo: Disclosure. Born in Piauí, Agnes Victoria a degree in Interior Design. Has the design and deep identification and painting is in this area that exerts its best form of expression since childhood. He developed his art of self-taught form and free courses for a long time, While active in other activities. In 2006 He began his career as an artist with a technique his entire, where uses acrylic on canvas with several collages. In this solo exhibition THE POETRY OF COLORS, their 15 jobs bring implied the idea of freedom and your life story, depicting on each screen moments, memories, dreams, emotions and experiences that have marked and continue influencing their paths around the world. In the words of his own Agnes victory "the art is part of my life and that's where expressed my feelings in the most free. I like the bright colors and joy. The optimism and beauty are part of my world, and that's what expressed in my works, as a possibility of harmonious living a better world and be happy. " 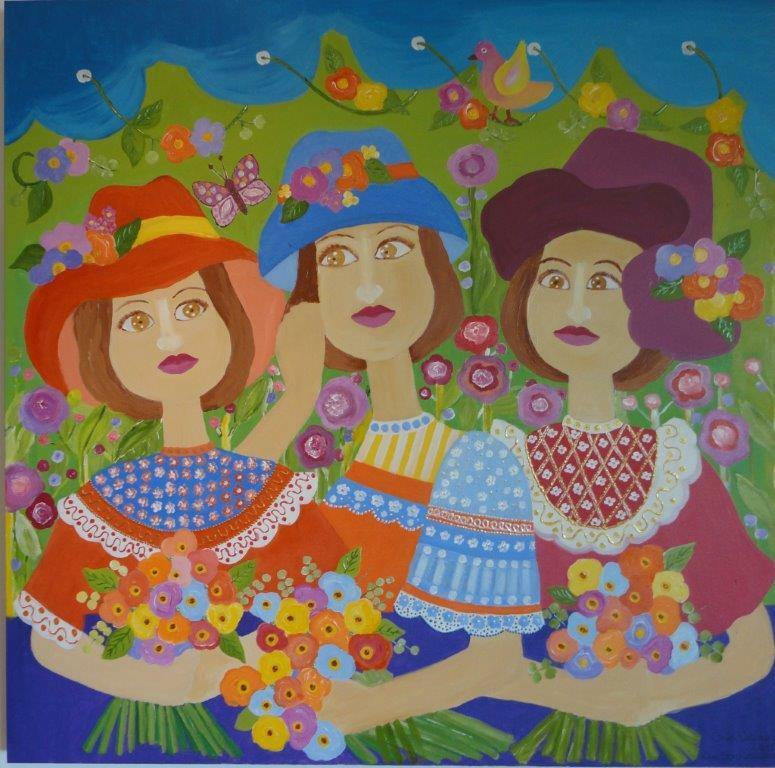 According to Professor Oscar D ´ Ambrosio, "The women portrayed by the artist Agnes Victoria constitute a peculiar poetic universe games of colours and shapes with a style well demarcated. There is in them a form of expression and a visual identity that gain from the first moment. Are authentic characters ready to tell us stories. The greatest merit of this painting is on your spontaneity. The scenes in which appears a couple or those who have a couple of women, There is a dialogue with the painting tradition, in order to put in scene a interpretation of the world, in this case marked by happiness. There are on screen the conviction that life is worth living and that flowers and other decorative elements that surround the main figures serve as props for a walk which is distinguished by the certainty that art should get the beauty and manifests itself in various ways, as the presence of warm colours and intense occupation of space. Agnes Victoria meets in your visual practice a look at women who expresses trickery and sensuality. Are flirty girls who bring the nostalgia for a lost in Brazil to be happy was possible without any form of fault. 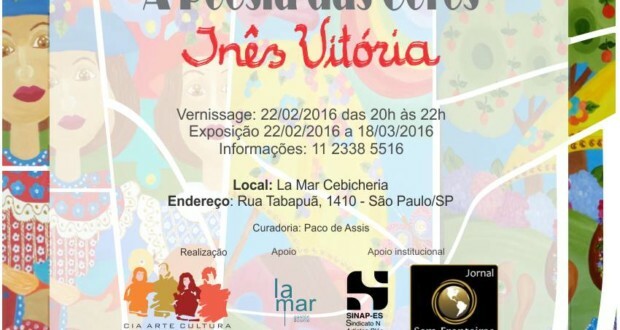 Thus, your images and make smile with delicate conquer joviality "
Agnes Victoria has participated in Art Exhibitions, individually and in group exhibitions, in Salvador, São Paulo, Rio de Janeiro, Niterói, New York and Barcelona, where has received Honorable mentions, Bronze medals, Silver medals and gold medals. House schedule: 2nd Tuesday-Saturday from 12:00 to 12:00 am. Sundays from 12:00 to 11:00 pm. Valet parking at the door.